Business owners, medical professionals, educators, and writers from all over the world are manufacturing products, doing research and publishing articles and stories to help individuals manage their allergies and intolerances. Best Allergy Sites is an attempt to gather all of those resources in one place. The mission behind Best Allergy Sites is to bring allergy and intolerance sufferers up to date information and support. 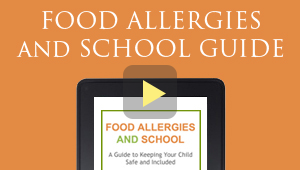 We serve as a food allergy guide and allergy support community. We encourage you to browse our site and see all that Best Allergy Sites has to offer.